Hudsonia tomentosa.©Les Mehrhoff.www.discoverlife.org. (Accessed 7/2014). 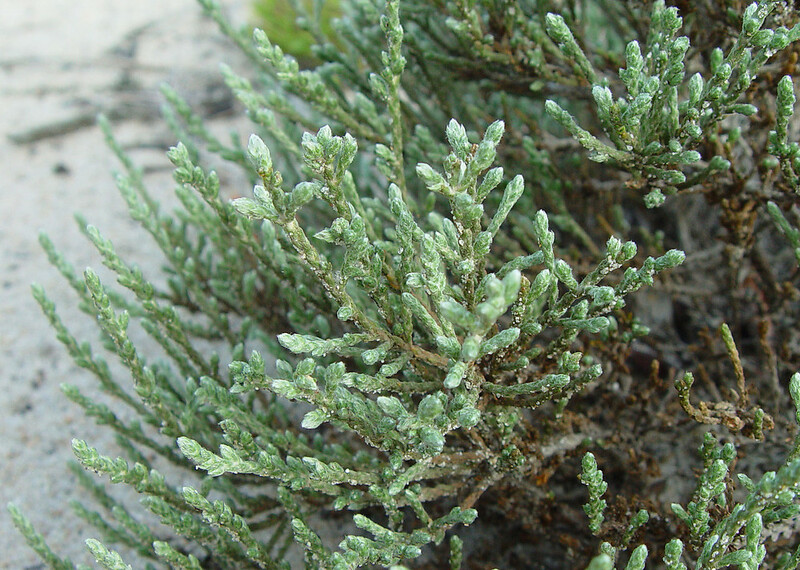 Hudsonia tomentosa is a low, mat-forming evergreen shrub, grayish-green, densely short-wooly. Leaves alternate, small, scale-like, 0.1- 0.3 cm long, overlapping and appressed to stem. Flowers yellow, radially symmetrical, 5-parted, about 0.6 cm wide, showy, numerous, flower stalks very short 0-0.3 cm long; blooming May-June. Hudsonia tomentosa.leaves. By Arthur Haines. Copyright © 2016.New England Wild Flower Society.gobotany.newenglandwild.org (Accessed 6/2016). 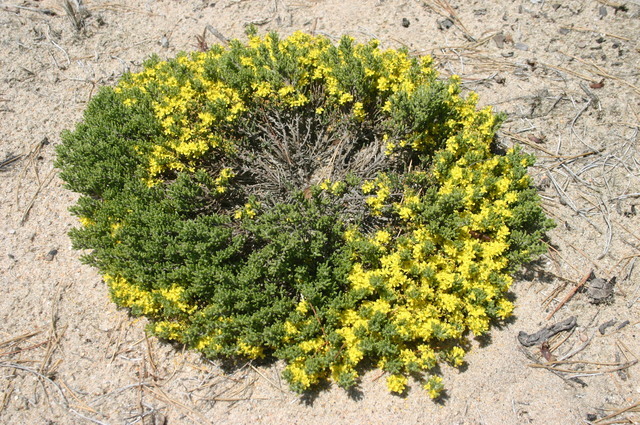 Habitat: Dry, open sandy soil, back dunes in undisturbed areas. Notes: Much like H. ericoides, a pine barrens plant, which is not very hairy, has leaves 0.3-0.6 cm long, not appressed to stems. Flower stalks 0.5-1.5 cm long. It is probably extinct in NYC.